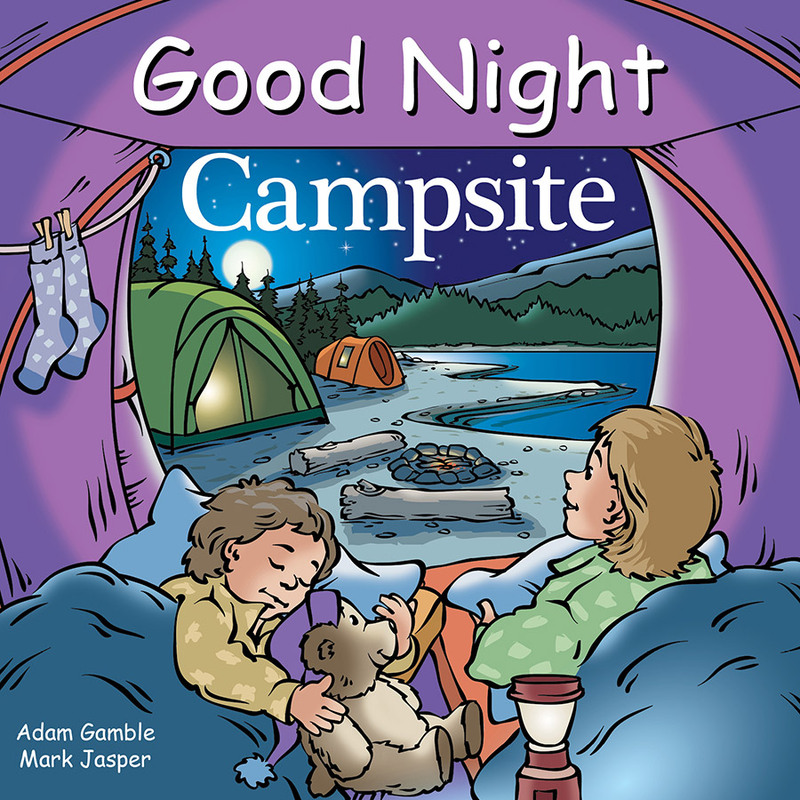 Good Night Campsite features camping, cooking, tents, RVs, lakes, mountains, rivers, trees, ducks, frogs, chipmunks, biking, picnics, hiking, autumn leaves, campfires, fireflies, sleeping bags, and more. Grab your duffel bags, it’s time to head to the campsite. 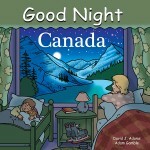 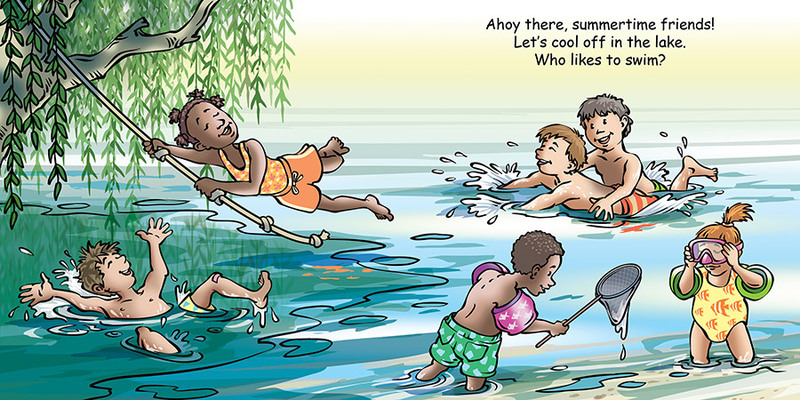 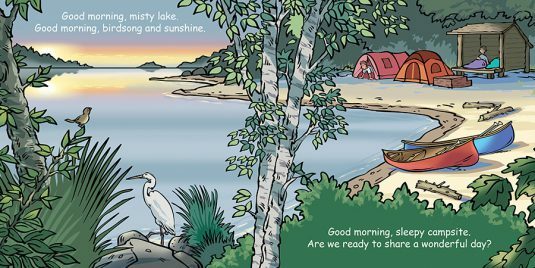 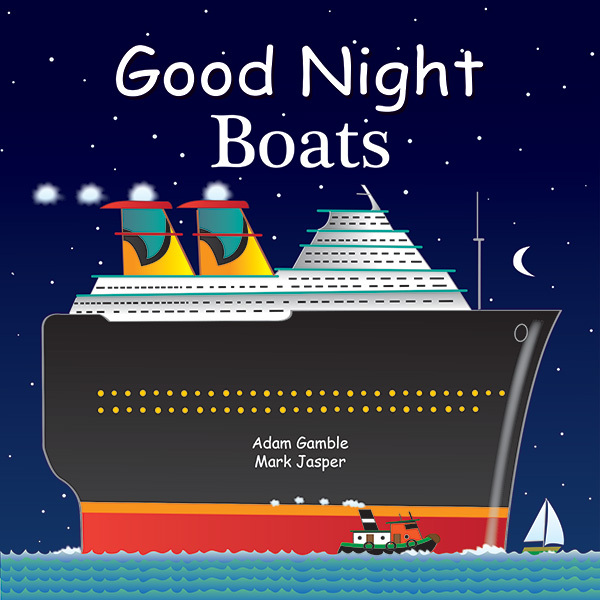 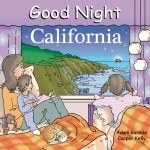 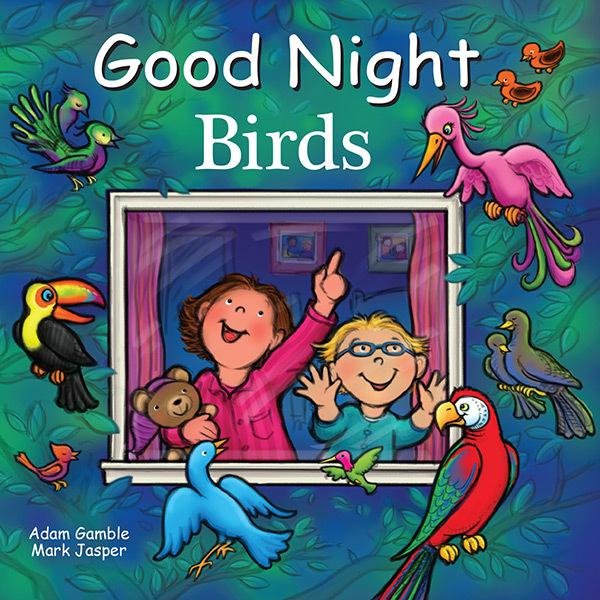 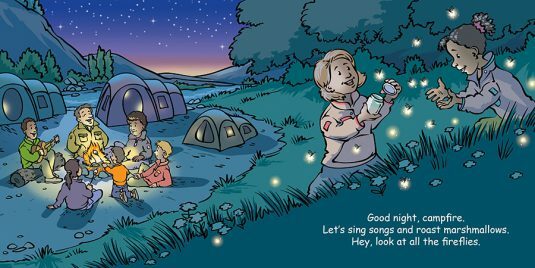 This charming board book takes young readers on an outing to their favorite campsites while indulging in all their favorite outdoor activities. 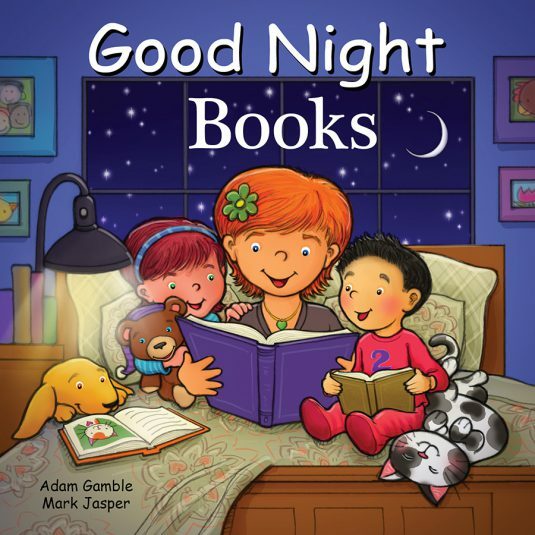 Roasted marshmallows included!